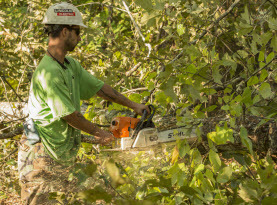 Milam’s Tree Service located in McDonough, Georgia proudly provide tree services to commercial businesses and residential homes locally along with Clayton, Henry and Fayette counties and surrounding areas. We are fully licensed and insured to deliver family-friendly customer service, high moral standards, and superior execution in all services rendered on a consistent basis. We have been honored to do so for the last 20 years, earning ourselves a solid reputation and accumulating many valued return clients. With the aid of state of the art equipment, our experienced experts and skills can perform our tree services and leave you 100% satisfied. 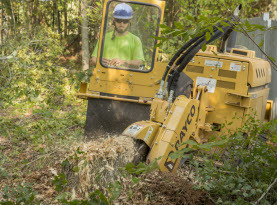 Included in our fine list of tree services is tree stump grinding and removal services. Removing the tree stump is better done with the aid of a professional. Milam’s Tree Service will use grinding methods or our removal techniques to rid you of the stump. There are grinders available for rent at many local home improvement shops, and you may believe you are saving a few bucks doing it yourself, but the truth is, if you have never been trained, grinding your own stump on your home or business property can be not only more costly, but dangerous as well. Using Milam’s Tree Service affordable stump grinding and removal service can safely remove the stump by grinding it out. Milam’s Tree Service will assess the stump you wish to have taken out to decide whether our grinding service or removal service is optimal. Large and old trees with intricate and established root systems can be difficult to remove, but with Milam’s Tree Service grinding and stump removal, they are easily dealt with. Our stump grinding process avoids digging holes in your landscape and we simply chip and mulch the stump. Once the stump has been erased from the surface, the remains are buried with soil and/or fertilizer. 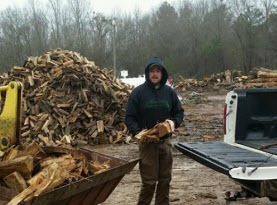 Milam’s Tree Service stump removal service is more ideal if an old sick or dead tree has fallen and the root system isn’t fierce and strong that it is easily wrenched out along with the tree or remaining stump. With the use of our top-of-the-line equipment, we can take over where nature left off and remove the tree and dispose of it appropriately in the event it is infected with a disease. Homeowners and business owners should get your tree stumps removed from your property for the reasons listed below. With Milam’s Tree Service stump removal or grinding service, it is as easy as dialing your phone to get it done! –	Esthetics. Stumps are not an attractive addition to your landscaping. They take up valuable space and are an eye sore; making the surroundings look flawed and takes away from an otherwise charming landscape. –	Hazardous Tree Stumps. Tree stumps can not only be annoying to dodge, but they can be a safety hazard. They cause folks to trip, which can be a devastating event in many cases. –	Tree Stumps Attract Pests. Stumps are the decaying remnants of a tree, many pests, especially insects, are drawn to them which can contribute to a variety of infestations. –	Stimulate New Tree Growth. Stumps can sprout new trees in the general area. These new trees can strangle out the surrounding plants and you may not even realize it until it’s too late to do anything. 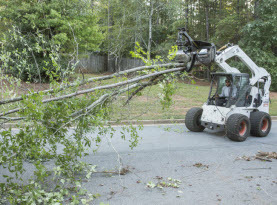 Milam’s Tree Service is readily available when your home or business throughout Clayton, Henry and Fayette counties and surrounding areas and McDonough, Georgia requires a stump grinding or removal service. Call us today to get started!